Nkululeko Sokweba believes that if he can make his dreams come true, so can you. The 25-year old from Tembisa has fought all of the challenges in his life to become a qualified commercial pilot. Sokweba is from Madelakufa informal settlement in Tembisa in the East Rand, Gauteng. He currently works as a flight instructor at Thompson’s Aviation at Wonderboom Airport in Pretoria. Sokweba was four-years- old when his passion for flying was born. His father was a cleaner at the then Jan Smuts International Airport (now OR Tambo) in Johannesburg, and he would often take him and his two sisters to work. “In 1997, the South African Olympic team plane would fly over our house which was near the airport. It was a Boeing 747-300 'the queen of the skies' and especially designed for the team. It was the most beautiful thing I’d ever seen,” he recalled. In 2011, he completed matric as one of the top three students in the school, and received a bursary from the Gauteng City Region Academy, a branch of the Gauteng Department of Education responsible for promoting skills development. 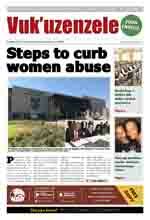 He enrolled to study education at Wits University but continued to look for funding for aviation studies. In 2014, he applied and was chosen for the South African Airways (SAA) Cadet Pilot Programme. After many weeks of tough theoretical and practical training, he took his first flying lesson on 15 March 2015. Aspiring pilots must fly a minimum of 35 hours to receive a student’s pilot licence. To gain a private pilot’s licence, pilots must fly a minimum of 45 hours, while a minimum of 200 hours is needed to receive a commercial pilot’s licence. Sokweba’s favourite aircraft is the Airbus A340-600, which he had the chance to fly from Cape Town to Johannesburg earlier this year. “I was assigned to fly the plane one night, and I had to fly over our house in Tembisa. It was a great feeling, flying over my home,” he said. 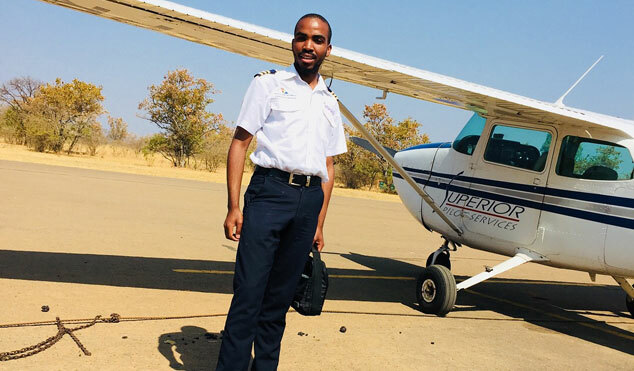 Sokweba, who does not have his motor vehicle driving licence, said many people had told him he would never become a pilot, because no one had ever seen a black pilot before.